Launching a comeback in 1997 was a brave move for Canada’s Razor and this urban Thrash onslaught – their first release in 6 years – Thrashed hard regardless of the fact that Thrash was not exactly en vogue in the late 90’s. 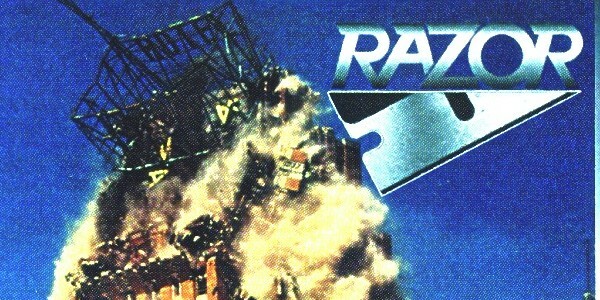 Intimidatingly menacing, the title track, “Jimi The Fly” and “Great White Lie” showed no mercy either at high speed or mid-paced bludgeoning; Razor reassuringly adopting an ‘if it ain’t broke, don’t fix it’ attitude to their punishing arrangements. Heavy on the distorted riffs and vocals, Decibels may not have been vintage Razor – check out Evil Invaders and Shotgun Justice for prime examples of their finest work – but the chainsaw’s ripping through flesh guitars are admirably crunchy and Razor bowed out gracefully (or should that be disgracefully) with their last album to date.